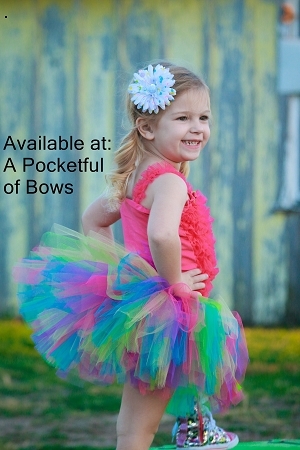 Bright Rainbow tutu skirt with pretty bow. 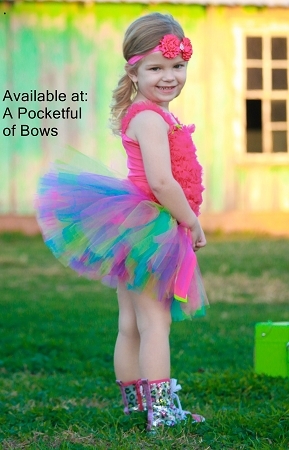 This pretty tutu skirt is purple, pink, lime, golden yellow, and turquoise. The bow at the waist is lime. It has a 3/4 inch covered elastic waistband. Tied and sewn so it won't come undone! ***Measure all the way around at the point you would like the skirt to sit. Skirts are usually worn just above the hip bone area. *** If you need help with measurements please message me your questions. Use the suggested sizes or select your choice of size and length! 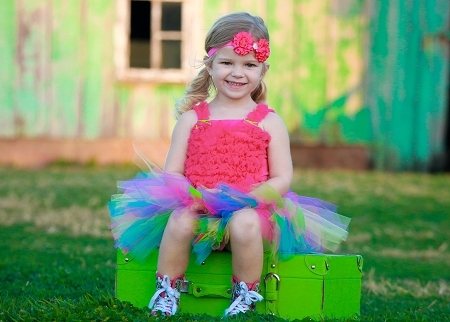 Thank you to our beautiful model Gianna Grace!